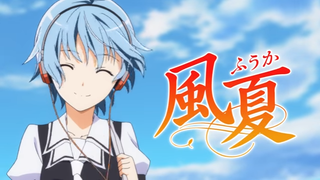 Fuuka´s anime offical website has uploaded it´s first ad and where it reveals that the Jauary 6 is the premier date. At the same time it has been revealed that Kanako Mitsuhashi and Daisuke Nakamura will retake their roles as Suzuka and Yamato from the prequel anime “Suzuka”. Keizou Kusakawa (KanColle) is directing the anime at Studio Diomedea (Squid Girl) Aoi Akashiro (Endride) is in charge of series composition.